Good afternoon everyone! Today I have a quick little post for you guys. 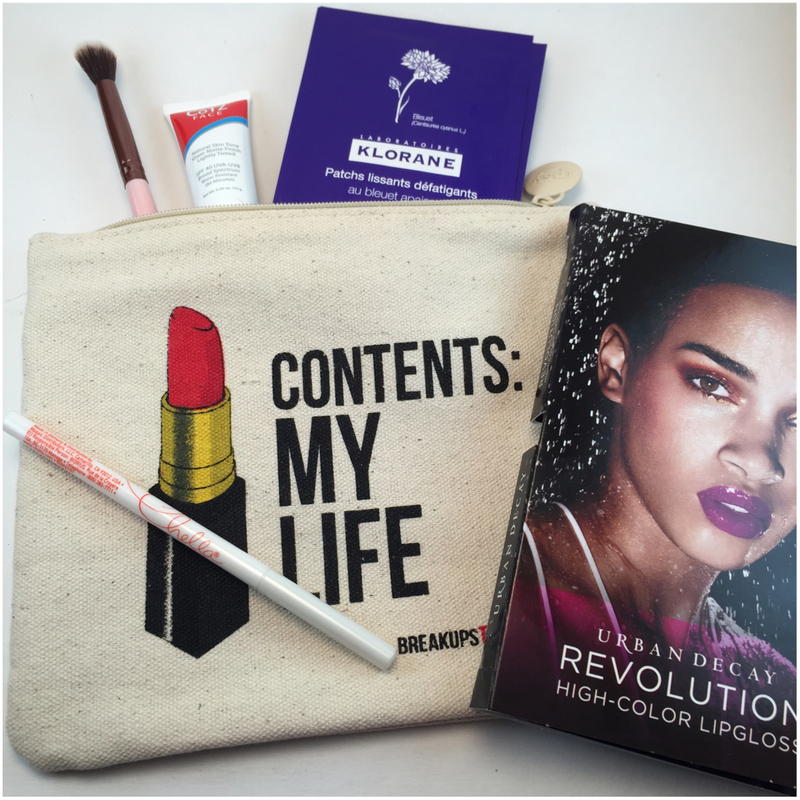 We are going to take a quick look at this month’s Ipsy bag. There wasn’t much need for swatches this month so we will just take a note of what was included. This month I got Urban Decay 24/7 Glide on Lip Pencil and a bonus Revolution High-Color Lipgloss sample, Chella Eyebrow Color Pencil, Klorane Smooth and Relaxing Patches, Luxie Beauty Tapered Blending Eye Brush, and a sample of CoTZ Face Natural SPF 40. The Klorane patches are simply wonderful and I certainly see buying up a box or two, the Luxie Beauty brush is very nice and always can use another eyeshadow brush, and the CoTZ tinted moisturizer is perfect for summer. All in all I was okay with this month’s bag. Thank you so much for stopping by today and I will see you all again tomorrow.